deal for trapped shot waggler rigs. these excellent little float attachments allow the float to fold over completely on the strike and are completely tangle free. 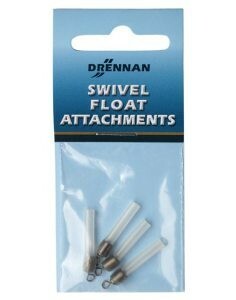 Drennan Swivel Float Attchments ideal for trapped shot waggler rigs. these excellent little float attachments allow the float to fold over completely on the strike and are completely tangle free.